This tour was designed thinking about those who wish to become wine connoisseurs of the Portuguese wine and food of the Alentejo wine region. In the warm and dry environment of the plains, we will take you on a three-day wine tour where you will visit some of the best Portuguese producers. Well organized trip. The places we have visited were fantastic, specially L'and Vineyards, Grous and Herdade do Esporao. The food is amazing and those Alentijo roads are inspiring. Sad because of the weather but we pretend to be in Portugal again next September. The private driver is waiting for you at Lisbon Airport or at your hotel in Lisbon. We will take you to visit one of the most serene and unique landscapes in the world. Starting at L'AND Vineyards, a unique project inspired in wine, you will have the opportunity to take part in a beginner's wine course with introduction to wine tasting with a tour to the cellar and vineyards that represent the identity of the estate. After the experience enjoy a relaxing wine massage in the SPA with wine grapes. At the end of the day, you will enjoy a delicious dinner in a unique place, L'AND Vineyards Restaurant. The cuisine of Chef Michael Laffan, awarded a Michelin star in 2013, creates the restaurant menu inspired by the natural environment that surrounds the hotel, presenting dishes with influences from Alentejo in a contemporary interpretation, taking visitors on a gastronomic journey. Check-in at the L’and Vineyards Hotel. By electing the wine as anchor of its inspiration, L'AND Vineyards Resort is a 5 star holiday village. Continue your journey through Alentejo. We suggest a visit to the typical village of Arraiolos, the village of the famous and traditional Portuguese tapestry. Then, continue to Monte da Ravasqueira. You will have the opportunity to visit one of the mosttraditional wine producing estates in the Alentejo region, and enjoy an amazing Picnic in the Vineyard. Next Stop will be at Adega da Cartuxa. At 2 km from the historic center of Évora, World Heritage city, and 200 meters of the Cartuxa Convent which inspired its name, the Wine Tourism Cartuxa is located in the former refectory of the Jesuit retirement home, they taught at the University of Évora in the sixteenth and seventeenth centuries. You will have a visit to the cellar and 3 wines tasting Eugénio de Almeida Foundation Selection, accompanied by sausage, cheese, jam region and others delicacies. The experience also includes olive oil tasting. Discover the city of Évora - World Heritage Site by UNESCO, there are several reasons of interest to visit, the Temple of Diana, the Lóios Church, the Chapel of Bones and the Cathedral are the essential sites. After the visit, your Dinner (drinks not included) is waiting at Divinus Restaurant. Inside this 15th century monument, the Divinus Restaurant is located in the old cellar of the convent, where the symbiosis between history, authenticity and gastronomy is perfect. Check-in at Convento do Espinheiro. Build in the XV century, Convento do Espinheiro was since early fascinating because its history, charm and rare beauty. 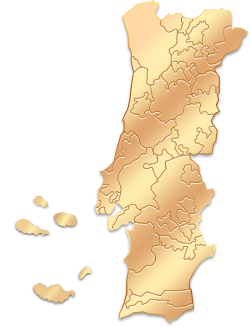 Through centuries was one spot of election by the royal family whenever they moved to Évora. Luxuriously redecorated, the Convento do Espinheiro is today considered a national monument that works with renowned brand Luxury Collection of company Starwood Hotels & Resorts. Enjoy a delicious breakfast in your last day in Alentejo. Check-out. We will take you to visit the last wine estate in Alentejo before the return to Lisbon. Next stop will be in an Estate of famous wines, you will havelunch(drinks not included)in one the most important Vineyards in Alentejo - Herdade do Esporão. The Herdade adopted an enthusiast kitchen's team that privileges the traditional gastronomy and the typical dishes of this region although not neglecting some contemporaneity, managing a cuisine that meets and exceeds the highest standards of quality and functionality.The wide terrace of the restaurant Herdade do Esporão ends where the vineyard begins, and allows to enjoy a panoramic view over a large lake. After lunch, you will discover the historical heritage of the Esporão which features one of the most curious historic areas of the region.The Herdade of Esporão presents itself as an Wine Estate steeped in history, producer of outstanding quality wines. The Esporão vines are located in the heart of Reguengos de Monsaraz, where wines are more balanced and seductive, simultaneously thriving and pleasant, luxuriant and with a good ageing potential. If the vines are the lung of the Herdade do Esporão, the cellar is the heart that beats to the rhythm of the harvest and as the result of the work defined by the calendar and by the oenology team.You will travel to the Vineyards, discover the new sustainable planting techniques, the biological Vineyards and pioneering initiatives in the field of sustainability and taste the amazing wines. Complete the tour with the Visit to the Historic Center where you can contemplate archaeological pieces with about 5000 years of the Perdigões Archaeological Complex. Return to Lisbon. The private driver will drop you off at Lisbon Airport or at your hotel in Lisbon.